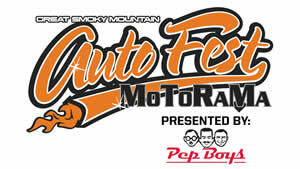 The Great Smoky Mountain Auto Fest is right in our backyard. In fact, if you come, we'd love for you to come tour our facilities [directions] on your way. Beyond being a picture perfect location to take your favorite classic, this weekend will be packed with activities: autocross, a car show, and finger lickin' good BBQ Saturday night all within blocks of the greatest tourist destinations in the Smokies!